A new study, conducted by Laryngoscope Investigative Otolaryngology, shows that lavender aromatherapy may help people who are set to undergo a surgery ease their anxiety and become calm. A new study, conducted by Laryngoscope Investigative Otolaryngology, shows that lavender aromatherapy may help people who are set to undergo a surgery ease their anxiety and become calm. They study indicates that the use of aromatherapy was particularly effective in surgery patients undergoing procedures in otolaryngology (ENT). According to the researchers, pre-operative anxiety has been linked to prolonged duration of hospitalization and also a reduced ability to fight infections are recover post-surgery. Previous studies have also shown that listening to soothing music may also help in reducing anxiety before a surgery. For this new study, the team divided 100 patients into two groups. One group received lavender aromatherapy in the pre-operation waiting area while the other group received standard nursing care. The group that received lavender aromatherapy worked as well as standard nursing care in reducing the anxiety levels of the patients. Therefore, the team of researchers suggest that hospitals should prefer using lavender aromatherapy as it is a relatively simpler and safer method. Aromatherapy makes use of essential oils, extracted from flowers and plants by steam distillation or cold pressing. It is known to stimulate the nervous system by inhaling the aromatic fumes- different plant, spice and flower extracts can help relieve stress, boost the immune system and provide various beauty benefits. Here are some other essential oils that may help in reducing stress and anxiety levels. 1. Clove essential oil: A soothing clove oil massage can ease you out. Due to its stimulating properties, clove oil helps to reduce fatigue, mental exhaustion, anxiety and stress. 2. Chamomile essential oil: Chamomile essential oil is known to be mildly sedative and helps in reducing irritability, anxiety and worry. 3. Vetiver essential oil: Vetiver oil is known to have a energizing and tranquil energy and invokes calmness and stability. 4. Bergamot essential oil: It is been shown in some studies that applying bergamot essential oil may help in treating depression or anxiety by reducing the activity of the stress hormone. 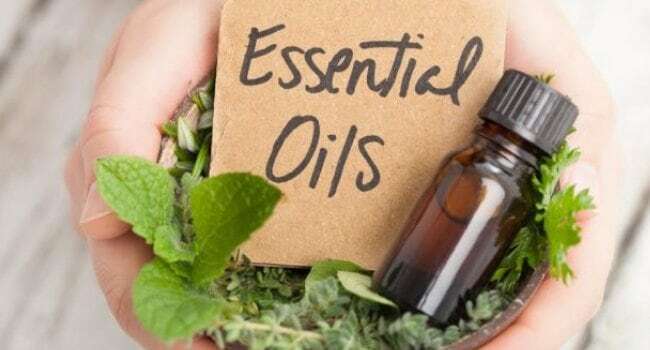 Essential oils have been used as natural medicine as part of aromatherapy for many years.